The NSW Rural Generalist Medical Training Program (RGTP) provides a supported training pathway for junior doctors wishing to pursue a career as a rural general practitioner. It enables them to provide primary care in a community general practice setting as well as advanced services and/or procedural skills within a rural hospital. There are multiple pathways to become a Rural generalist. Junior doctors can apply for the Foundation Year (PGY1) or they can apply for direct RGTP Advanced Skills Training. The program lasts for up to four years depending on the year of entry. It comprises a year of hospital practice or general practice, a year of advanced skills training and two years of support to consolidate advanced skills while training in community general practice or other approved training posts. There is flexibility to enter later in general practice training if eligible trainees are identified and positions are available. 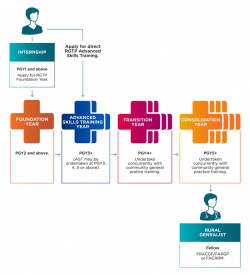 Trainees need to be enrolled, or planning to enrol, and working toward meeting the requirements of Fellowship with either the Royal Australian College of General Practitioners (FRACGP)/Fellowship of Advanced Rural Practice (FARGP) or the Australian College of Rural and Remote Medicine (FACRRM). Earliest entry into the program is at the commencement of postgraduate year two (PGY2) which aligns with entry into general practice training. 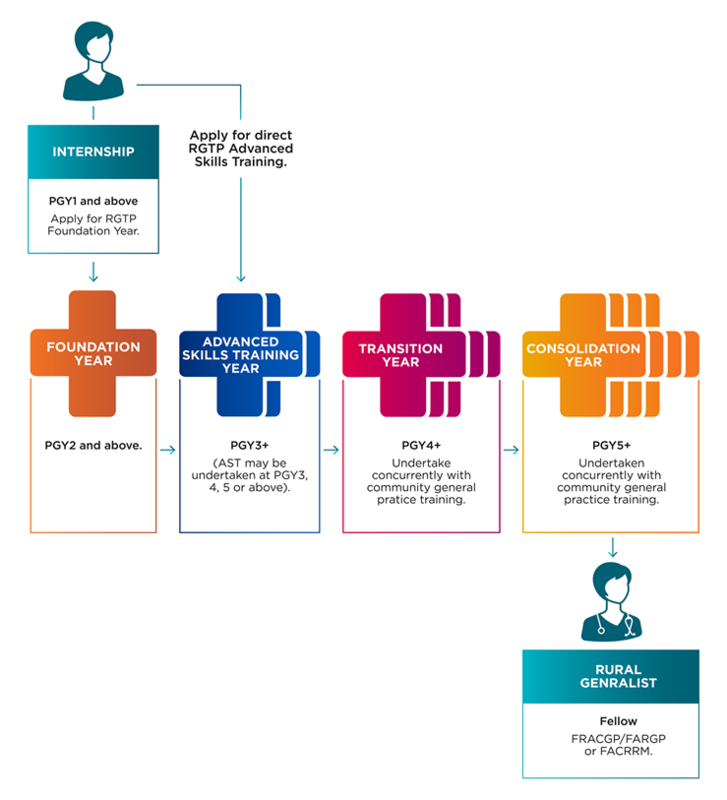 Successful trainees exit with a Fellowship with either the RACGP and FARGP or the ACRRM and qualifications in at least one advanced skill. Training in advanced skills is overseen by the relevant specialty college and leads to qualifications that meet the accreditation standards of that college. Find out more about our Training Pathways here. Apply via the NSW JMO Recruitment portal eRecruit. Applications close 19 October 2018.